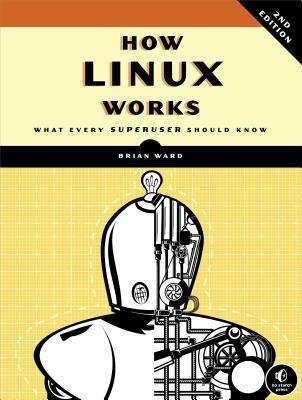 Should be titled "Become a Linux superuser"
I find the book title How Linux Works very misleading. The subtitle “What Every Superuser Should Know” is far more revealing of the content of this book. Indeed, author’s goal is “…[T]o instill you with confidence when you need to get inside your [personal] system to make changes or do something new.” You do not need to be a programmer to read this book. The first chapter introduces the basic Linux commands (i.e. ls, mkdir, touch), but sometimes, chapters become saturated with advanced commands (i.e. disk management, network) and dives into a lot more details. In the end, I think the book’s audience is too large for the book to be consistent. Moreover, if you are interested in going under the hood and discover the inner working of Linux, this is definitely not the right book. How Linux Works teaches you how to become a better user of Linux using only the visible parts (mostly the terminal). So, if you are a developer, you should consider other books such as the highly praised, but very intimidating, Unix and Linux Administration Handbook. Last, I found the book is written more like a blog post where content is sometimes introduced abruptly instead of being developed gradually. But if you are beginning with Linux and are looking for a concise book to get to the next level, How Linux Works deserves your attention.